Today, we invite players to tread further down the path of madness in this new Gameplay Trailer, as the Darkwater investigation begins to spiral out of control in the midst of unsettling conspiracies, bizarre cults and even the Old Ones themselves. In Private Investigator Edward Pierce’s quest to unveil the truth, players will need to rely on a variety of upgradeable Skills to escape the clutches of madness and death. The Spot Hidden and Investigation skill paths let players uncover more clues and draw more meaningful conclusions, unlocking more topics to question in dialogues. Convincing the distrustful locals of Darkwater to reveal what they know will require proficiency in Eloquence and Psychology. Pierce’s Strength skill may also come in handy for when brute force is necessary, or to intimidate impressionable people into offering whatever they’re hiding. 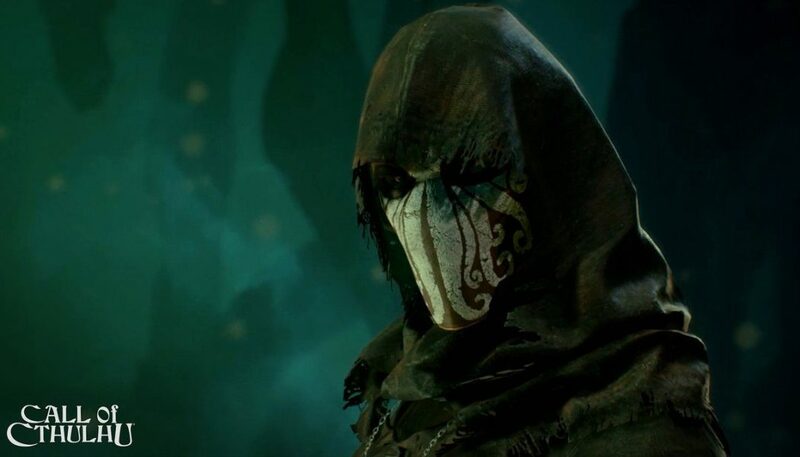 Expertise in Medicine and Occultism, improved only through discovering unique books and artifacts throughout the investigation, may grant additional insight – but knowledge can be a curse in Call of Cthulhu. The more aware Pierce is made of the horrors that dwell beyond the fabrics of reality, the more he will fall to insanity, impeding his ability to draw logical conclusions.